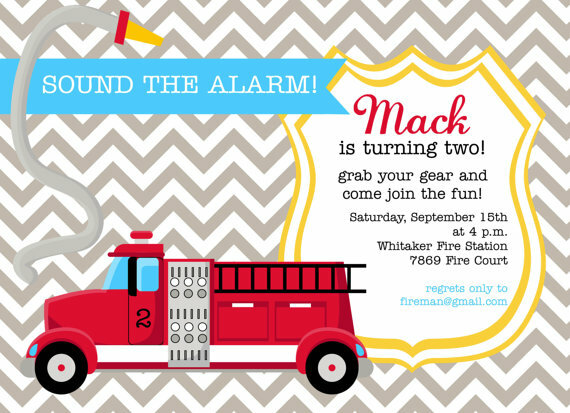 Kick off fire safety week with a fire safety party! Next week kicks off fire safety awareness week. Educators and parents alike will be talking to their children about the importance of having a fire plan, checking fire safety equipment and stop, drop and roll. So why not make it a memorable event by throwing a fire safety party! If you are going to talk about safety you might as well make it a memorable occasion. What firehouse party would be complete without a super fun cake and some adorable cupcakes? Borrow a fireman's suit from a local fire station. Have kids try it on for size or simply see how heavy it is. Give little ones a fire hat and have them race each other practicing their crawling close to the ground techniques, in order to avoid smoke. Create a relay race with garden hoses where they have to uncurl and stretch out a hose before the other team.